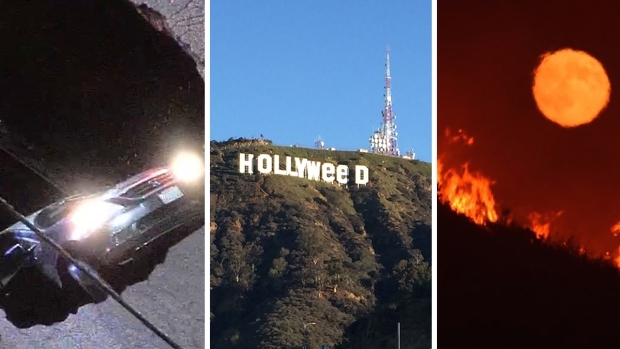 During the La Tuna fire, a Los Angeles Fire Department helicopter had to make an emergency landing onto a high school football field and the fire department has released very few details about the chopper's landing. Now, there's an investigation into the emergency landing. Neighbors told NBC4 they were afraid the distressed chopper might crash right into their homes. There is now a federal investigation into the emergency landing which happened in the middle of a suburban neighborhood on Sept. 2. 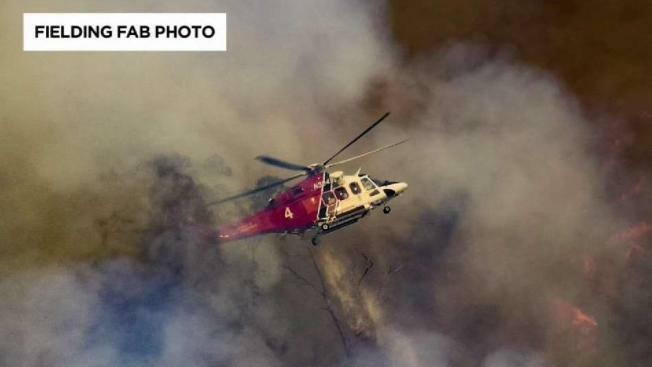 A viewer photo shows chopper number four of the LA City Fire Department appears to show the chopper clipping a tree, while dropping water on the La Tuna fire. The pilot was directed to the football field of nearby Verdugo Hills High School and quickly put down there. One neighbor who was monitoring fire department scanners told NBC4 he heard the pilot admit that he'd hit something and put out a mayday call. Several eyewitnesses told the NBC4 I-Team that just before this emergency landing they heard a series of loud banging noises and worried that the chopper was about to land on top of them. "I ran outside and I looked from my back porch and I see it, and I can hear the noise, it almost sounds like it's grinding," Debra Bakeman said. "Out of nowhere all of a sudden it just dropped. It was scary to hear it and scary, the thought that if it would have crashed into the neighborhood houses, that would have been another disaster of its own." The $17 million chopper was towed to the Van Nuys Airport. The incident is under investigation by the National Transportation Safety Board and the city.